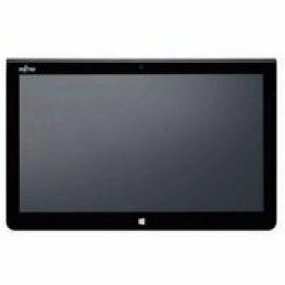 The FUJITSU Tablet STYLISTIC Q775 is the perfect companion for professionals who require ultimate security and a large screen span. Its 33.8 cm (13.3-inch) Full HD anti-glare display supports pen and touch input, while the optional palm vein sensor combined with PalmSecure™ technology provides an unrivaled security level. Everywhere connectivity is ensured with embedded 4G/LTE, GPS and NFC. A cradle shared with other STYLISTIC models enables best-in-class comfort in the office.